there are four ways to pack with confidence! The best thing about customizing items for you order is that you can let me know what works best for you. If you want your packer to ride low or high, then all you need to do is give me some dimensions to work with. The pouch I use for the Floater or Snuggler is usually about 7" long, measuring from the bottom of your waistband. If you want the packer to ride higher or lower, just request a pouch size that works for you. The Floater has a specially crafted pocket, made from soft netting material, to allow your soft pack to move naturally within your undergarment. 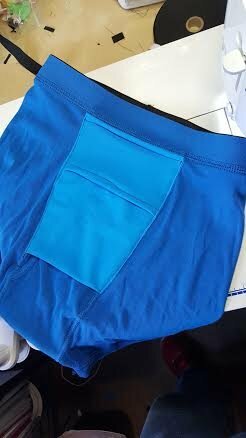 The design is sewn into the front pouch along the waistband of the garment to provide a natural look. In this design, your packer is completely contained within the pocket and you are able to adjust as to where you want the packer to sit within the pouch and in the most natural to you placement. This design is available in sizes Small to 2XL in multiple colors. You have no worry of your packer shifting unnaturally within your underwear with this design, as your outer pants will hold it firm into place as well. The only time the Floater is not suggested is with loose fitting pants or gym wear. In those cases, it is suggested you purchase the Snuggler instead. From the outside, the Snuggler and the Floater look and feel the same. The Snuggler has a specially crafted pocket, made from soft netting, inside the boxer/brief to hold your soft pack snug against your body similar to the Floater. In addition to the pocket being sewn into the waistband, this design is also sewn into the seam lines of the garment to provide a more secure fit. In this design, your packer is completely contained within the pocket and movement is limited. This design is available in sizes Small to 2XL in multiple colors. It is also available in sizes 48 to 56 in black. The Natural has a specially crafted 1 1/4" rubber c-ring inside the garment to hold your soft pack or STP in place. This design allows your packer to either lie against your skin or within a pouch providing access through the front opening of the underwear. This design is available in briefs, boxer briefs, and trunks, in sizes Small to 2XL. 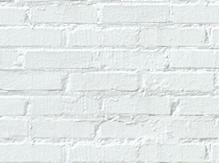 The Natural design is the most amenable to use with an STP. The Natural and Commando are now available with the TKW PackRight Harness. The TKW PackRight Harness is an alternative to the pocket used in our classic Natural and Commando designs. Made of super soft black elastic and sturdy nylon, it is sewn into the waistband of the underwear (inside the Natural, outside the Commando) and holds your STP or packer secure with a 1 1/4" c-ring and ball-cage. Available in all types of cotton underwear in sizes XS-4XL.Photo shows harness from viewing inside boxers. Harness can "free float" or be secured into the interior for less movement. We use our budget line of boxer briefs for these items. For higher quality boxers go to the BulletBriefs boxer brief tab. 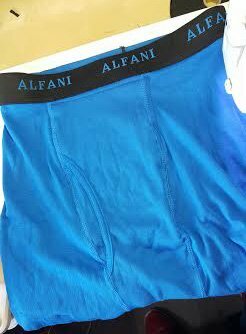 Tranzwear is proud to offer a variety of name brand quality underwear converted for packing by BulletBriefs. They feature three packing design options made from soft, stretch spandex for a smooth, full show of your packer without all the lines and bulky materials. The inserts are sewn in the same stitch as the original manufacturer, allowing the underwear to appear unaltered when worn. From our most affordable packing underwear to the more expensive brands, you get the same quality packing ability from Bullet Briefs. None of the inserts by BulletBriefs should be used for Play. The material in the underwear is not strong enough for any "activity" and could tear. The first style is called the Free-Ball* insert. It consists of a lightweight nylon/spandex top with a fabric ring through which the packer shaft extends. An elastic ball cage is attached at the bottom to hold the ball pack securely in place. We offer three ball cage size options based on the packers sold on our website. If you have a question about which size you should choose, please feel free to contact us or add a note in comments when checking out, so that we can adjust the ball cage to fit. For STP users, the top portion of the pocket may be used to tuck away the STP receptacle when not in use. Now there is no need to choose between pockets, STP holders or harnesses. With the All-In-One insert from Bullet Briefs, you can pack or use an STP with this design. Our 3rd and most popular insert is called the Jock Pocket*. Similar to the All-In-One insert, the Jock Pocket features a hole in the front side to extend the packer shaft for front fly access, if desired. This insert, however, is a top-loading pocket. There is no back side access, so this insert is not suitable for STP use. There are no hard rubber c-rings in any of the three designs. AllnOne Split back design The C ring which is on the front panel is on both Jock Pocket and Allnone . And is against the underwear, giving your packer a natural hang and also security. 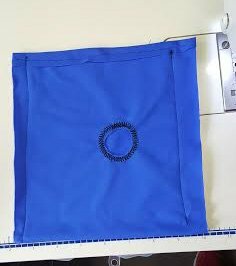 3rd photo is front of your boxers, showing nothing, we use the same color thread so that you cannot tell we have sewn in an insert.